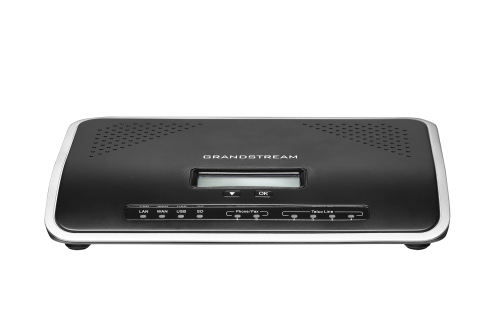 The Grandstream UCM6204 - IP-PBX Phone System is an excellent telecommunications model for small business who need 4 line PSTN/FXO capacity. With all the same great built-in telephone system features as other models. Designed for small business who are growing and need ample room to expand and upgrade as needs change. This PBX model is designed for small business who are growing. 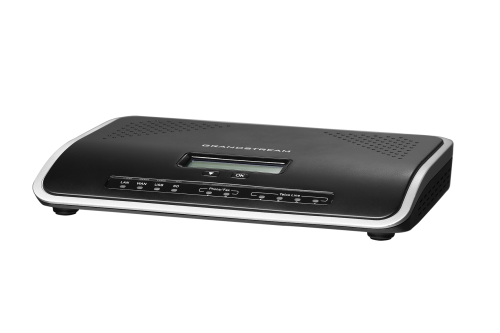 You can expand using VoIP (Voice-Over-IP) telephone lines, as well as add an analog to VoIP gateway to expand analog telephone lines. These systems include features such as: Auto-Attendants, Live Auto-Call Recording, CDR-Call Detail Records, Zero-Config (for Phone Extensions), Video Calling Capabilities, Automated System Back-ups, Fax to email, and much more! UCM6204 support up to 500 users and 45 concurrent calls. 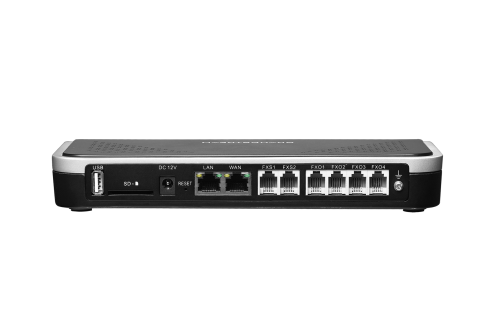 Integrated 4 PSTN trunk FXO ports, 2 analog telephone FXS ports with lifeline capability and up to 50 SIP trunk accounts. Ample storage and expansion capabilities for growth, including: USB (Drive) and SD Card memory storage slots, expand analog lines using peered analog gateway device or VoIP SIP Trunks (up to 50 lines/accounts), scheduled back-ups to storage or offsite server, automated data file clean-up and maintenance functions. Live call recording and internal statistics (CDR-Call Detail Records) and call center functions for busy offices needing call distribution options. Internal Fax system for sending and receiving faxes with-out wasting paper or secondary fax machines. Conference system and scheduling fucntions for automated email reminders to attendees. Easy set-up and integration of end-points including regular Zero-Config desk phones, remote SIP phones and mobile devices - includes free mobile device app for workers on the move.